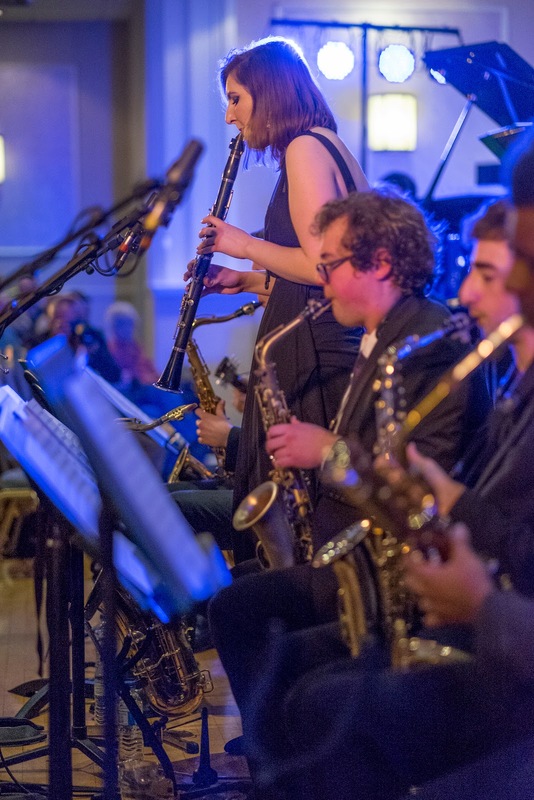 bebop spoken here: Southport Jazz Festival : Birmingham Conservatoire Ellington Orchestra - February 5. 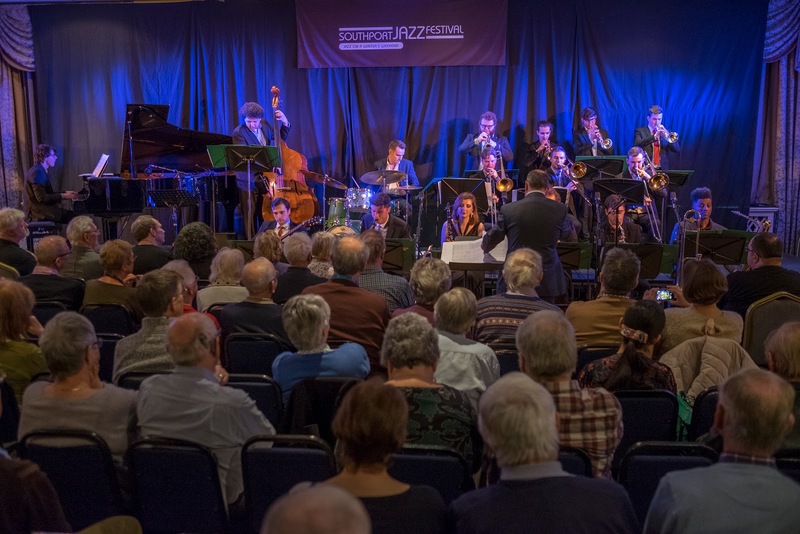 Southport Jazz Festival : Birmingham Conservatoire Ellington Orchestra - February 5. MD, Jeremy Price. Featured pianist (Far East Suite), John Turville. Brexit! Trump! Who cares? Let's have some Ellington. So spoke Jeremy Price and I think we all agreed. 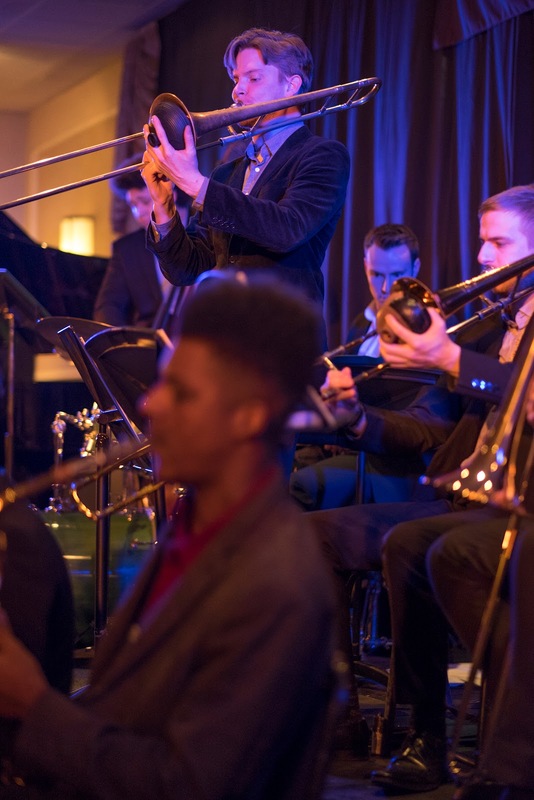 It all began with the rhythm section: piano, guitar, bass, drums, with Price on trombone as the rest of the horns marched in to take their seats, playing as they came: four trumpets, three trombones and five saxes. The festival was gagging for a stage full of musicians, reflected in our appreciation. Trumpets are out, one trombone left, down to tenor, cut. Years ago, when the time came to face the beast, my strategy was to sprawl through multiple box sets and key albums from the mid-fifties onwards, when such things began to appear. I had decided to not even try to identify pieces, but Price kept it simple, doing them in threes: A Flat Minor, Half the Fun and Harlem Air Shaft; Flirty Bird, Idiom 59 and Koko; Across the Track Blues, Happy Go Lucky and Rockin’ in Rhythm. A Train to finish and the Ella Fitzgerald arrangement which keeps us waiting for the main melody, and I think I've heard the Durham Gala Big Band do it this way. They left the way they came in, down to big Jimmy Blanton. The second set was the Far East Suite, a genius choice, a serious, ambitious and difficult late work. Across the two sets we were given a wonderful contrast between early Ellington, which established him as the maestro for many of the greats (Miles, Mingus, Gil Evans, Cecil Taylor, Archie Shepp) across countless short pieces, in keeping with the technology of the times, and Ellington the elder statesman, highly respected as one of Americas greatest ever composers, in the era of the fortyish minute album. 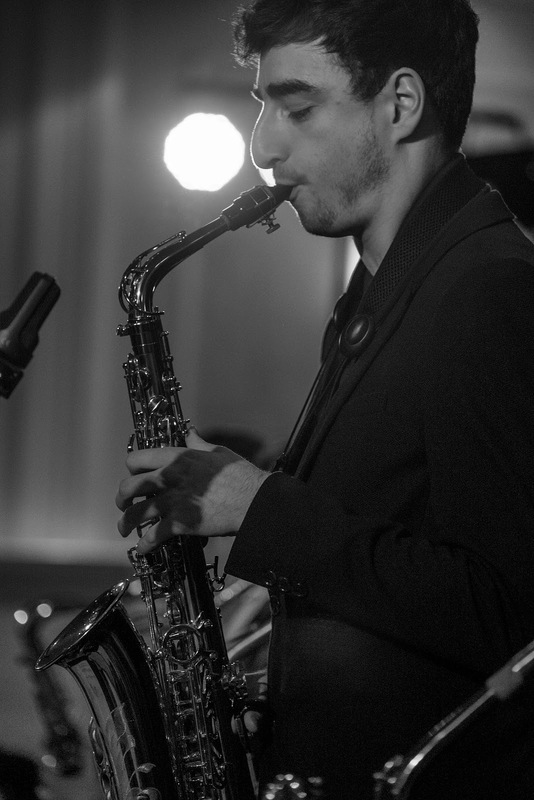 The musicianship, from fourth years to first years, was of an astonishing level, with not an ounce of slack anywhere. Special mention of Sam Wright, swiftly switching between tenor and clarinet, and the only lady on the stage, which was something of a theme for the day. And my journey towards total acceptance of the clarinet continues. I came out in search of a pee and a pint but everywhere was deserted: the loos, the lounge, the corridors, the bars, the only occasion this happened over the two days. Back in the hall, the applause was raucous, encouraged by Price doing a brilliant job with the announcements, encouraging us to ease up on the reverence, smiling faces and thumbs going up across the room. Appropriately it was Sam Wright’s clarinet that finally brought things to a close. I've no doubt many there would have had this as the gig of the festival.